and the Largo da Carioca fountain. 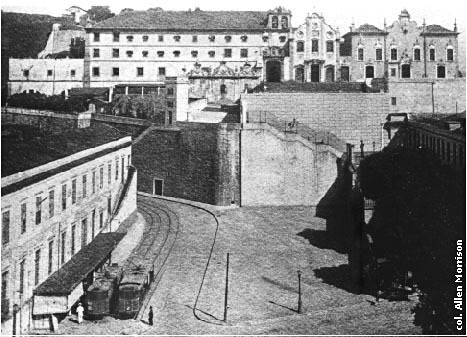 Note Santo Antônio monastery on the hill. 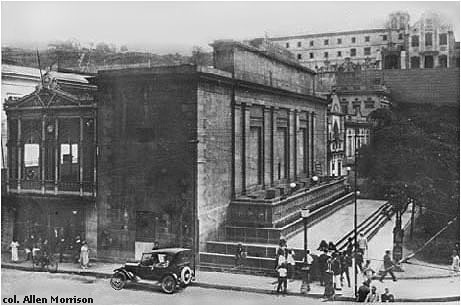 on the second floor of the iron-clad structure on the left. streetcars reversed ends at a new crossover on the street. inside the new Ordem Terceira Building. 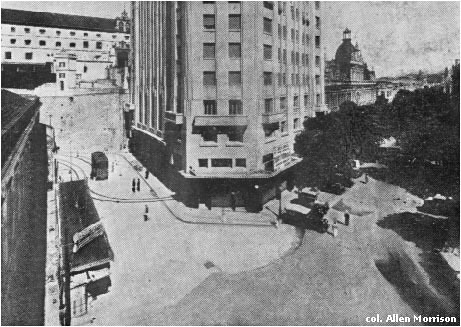 Note remains of the old tram station lower left. 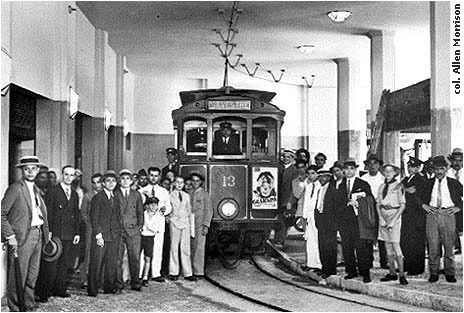 The streetcar loop inside the Ordem Terceira Building.